Within Alabama’s urban center, GA Studio programmed five acres of partially forested land to serve as an oasis for the public exploration of the state’s rich native habitats. With a playful and inspiring program, the Children’s Zoo acquaints children with the wonders of nature and introduces concepts of history, biodiversity and conservation. Chiseled concrete rock ledges mark the entry to the Children’s Zoo, echoing the iron-rich mountain that is the local economy’s historical foundation. From here, the design team carved a sequence of spaces moving from a developed habitat dominated by humans, through a pastoral landscape, and finally an immersion in a native wilderness where the sights, sounds and smells of wild animals and plants dominate. 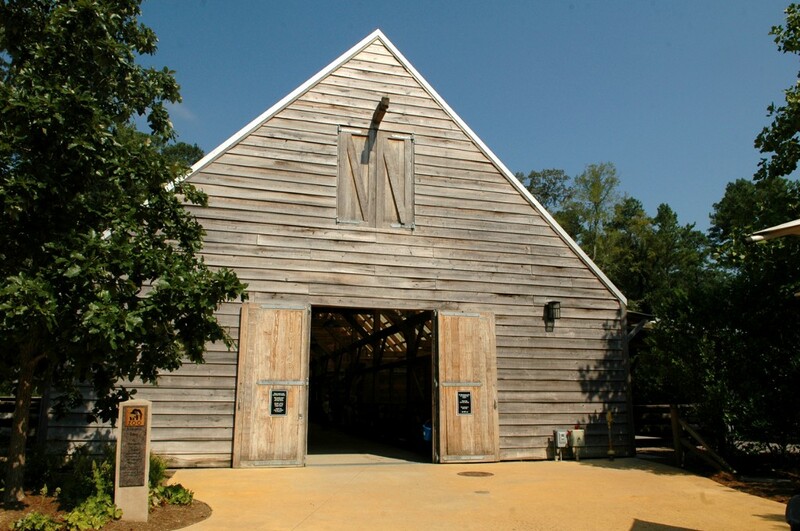 Visitors climb over a rock playground, splash through interactive fountains, pet farm animals in a heavy timber barn of authentic mortise and tenon construction, ride a carousel of endangered species under a luminous tensile structure and wander through a wetland to explore exhibits in child-sized caves.